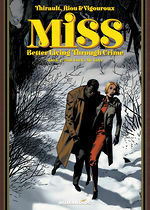 Edition includes all four volumes of the series, as well as a foreword by Ed Brubaker ("Criminal," "The Fade Out"). 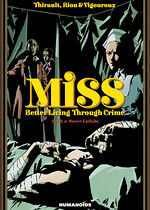 The tale of two unlikely partners in crime set in New York City's “Roaring Twenties." Nola is a poor white girl who has learned to survive by hook or by crook since being expelled from an orphanage. Slim is a black pimp with an uncertain past, always trying to keep one foot out of the grave. 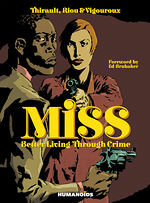 When their paths cross and their options run out, Nola and Slim forge a partnership as hired killers. 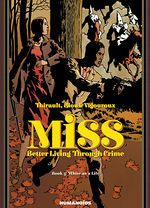 This is their story, about what it takes to survive when all you have is a gun, and each other. 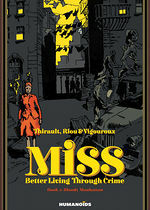 Miss is a good noir book, full of ethically gray characters and fascinating social circumstances that make the plots – which are, after all, just about two people killing people who tend to need killing – better, as nothing is simple for a woman and a black man in this world. This one gives Road to Perdition a run for its money.